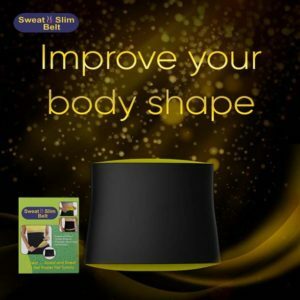 Unlike people who visit the slimming center to lose weight, people who choose to go the calorie-reduction way often face problems like tiredness and hunger pangs. 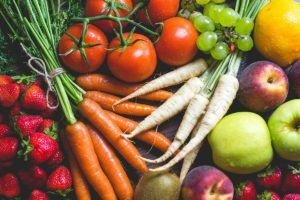 If you are managing your diet to lose weight, you need to ensure that you are fulfilling your daily protein and carbohydrate intake, while cutting out sugar and extra calories. Diet planning lets you do this while controlling how much you eat. Many are still in dilemma between diets vs. exercise when it comes to losing weight. When in fact, you need both in order to lose the extra calories. To know how to beat obstacles like intense cravings and lethargy, read these tips. Weight loss by diet management requires you to give up high-calorie foods. 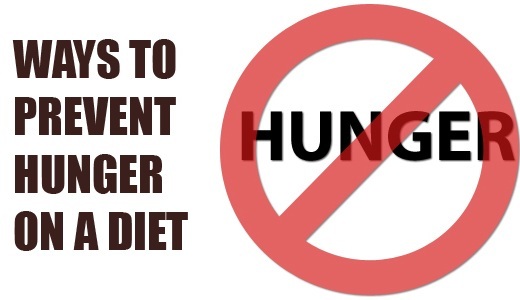 This can make you feel deprived and often results in more binge-eating, which is dangerous. Consequently, totally doing away with flavors in your food can upset your weight loss program. Instead, experiment with spicy flavors and tangy fruits. Add ingredients like basil, oregano, coriander, and mint. Texture also goes a long way in ensuring that you enjoy your meals thoroughly. For instance, you can toss chopped nuts on the greens and add muesli to your yogurt. Using low-calorie appetizers to calm your hunger. You can try starting with simple vegetable soup or vegetable salad as the first course of the meal. In fact, it has been suggested that having soup before meals reduce your meal’s calorie intake by 20%. However, this is not true for a baked potato soup that you might get at a restaurant. Black bean dips and Japanese mushroom soups are good low-calorie alternatives for starters. The logic behind consuming fruits and vegetables to beat hunger pangs is that they have more water content. Thus, they leave you feeling contented and are low-calorie choices. One good way to have fruits on a regular basis is to replace fries and cookies with freshly chopped fruits. You can even carry them on your way to the slimming center since they provide essential vitamins and minerals. They have also been found to be beneficial for blood pressure. Fiber not only helps in water absorption and digestion but increases satiety. You can increase your intake of fiber by eating whole grains and cereals. 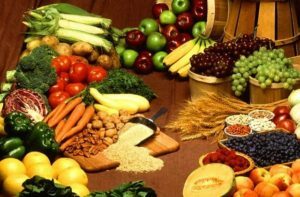 Fibrous vegetables and fruits are also beneficial. Psyllium husk helps you feel full and prevents you from overeating. The daily recommended fiber intake for both children and adults is 14gms for every 1000 calories consumed. Fiber-based foods require chewing for longer and help you feel full for longer. It is an established fact that people who skip breakfast tend to overeat later in the day and hence put on weight. 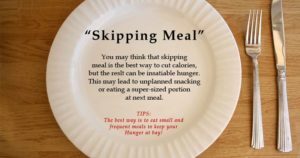 Psychologically, skipping the first meal of the day reduces control over what you eat, and enforces binge-eating behavior. It is ideal to have three meals a day spread over 12 hours. If you are reducing your portion control, it is a good idea to have low-calorie snacks once daily. It is essential to drink sufficient water to induce fullness. It is important to cut empty calories out of your diet, but eating well is equally necessary.